The Lake Anna Brewfest is put on by Travel Lake Anna, a 501c(3) non-profit. We are a family friendly festival with great Virginia and regional craft breweries to sample, local wine to sample, great food from local restaurnats, local business vendors and just a great atmosphere to kick off your summer right. Travel Lake Anna is a 501c(3) non-profit organization whose mission is to help promote the Lake Anna area and community and raise money for the Cystic Fibrosis Foundation. Created in 2013, Travel Lake Anna throws events like the Lake Anna Brewfest which brings thousands of people to Lake Anna while promoting the area’s local businesses, raising money for the Cystic Fibrosis Foundation and scholarsihps for high schoolers who are attending college. The Cystic Fibrosis Foundation (CFF) is a very near and dear foundation to our hearts as two of the founders of Travel Lake Anna have twin boys who have Cystic Fibrosis. Cystic fibrosis (CF) is a life-threatening genetic disease that primarily affects the lungs and digestive system. An estimated 30,000 children and adults in the United States (70,000 worldwide) have CF. 100% of donations to the Cystic Fibrosis Foundation are used for finding a cure for Cystic Fibrosis. 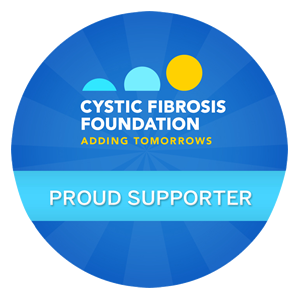 To find out more about the Cystic Fibrosis Foundation, please visit www.CFF.org.